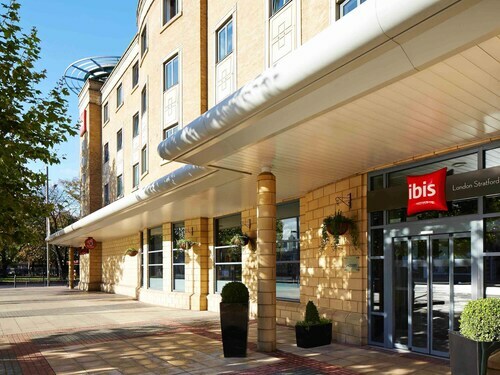 Located in Stratford, this hotel is within 2 mi (3 km) of Westfield Stratford City, London Stadium, and Olympic Park. Excel Exhibition Centre and Liverpool Street are also within 6 mi (10 km). Stratford Station is only a 3-minute walk and Stratford High Street DLR Station is 8 minutes. 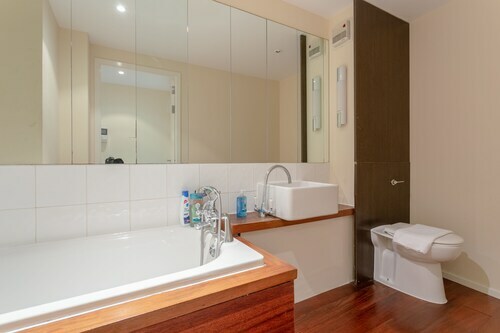 Located in Stratford, this hotel is within 2 mi (3 km) of Westfield Stratford City, London Stadium, and Olympic Park. Excel Exhibition Centre and Liverpool Street are also within 6 mi (10 km). Stratford High Street DLR Station is 7 minutes by foot and Maryland Station is 8 minutes. Located in Stratford, this hotel is within 2 mi (3 km) of Westfield Stratford City, London Stadium, and Olympic Park. Excel Exhibition Centre is 3 mi (4.8 km) away. Stratford High Street DLR Station is only a 2-minute walk and Stratford Station is 7 minutes. 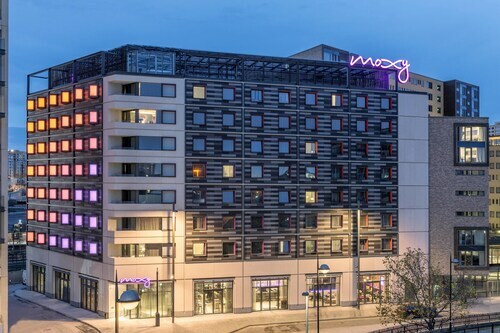 Located in Stratford, this hotel is within 2 mi (3 km) of Westfield Stratford City, London Stadium, and Olympic Park. Excel Exhibition Centre is 3 mi (4.9 km) away. Stratford High Street DLR Station is only a 4-minute walk and Stratford Station is 9 minutes. 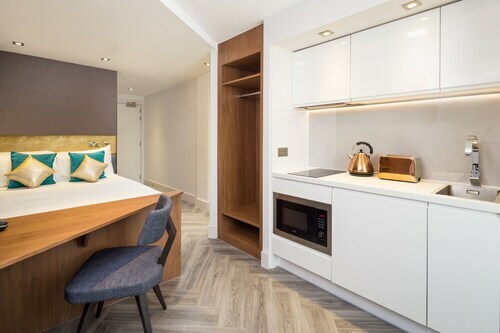 Located in Stratford, this apartment building is within 2 mi (3 km) of Westfield Stratford City, London Stadium, and Olympic Park. Excel Exhibition Centre and Liverpool Street are also within 6 mi (10 km). Stratford Station is only a 3-minute walk and Stratford High Street DLR Station is 9 minutes. 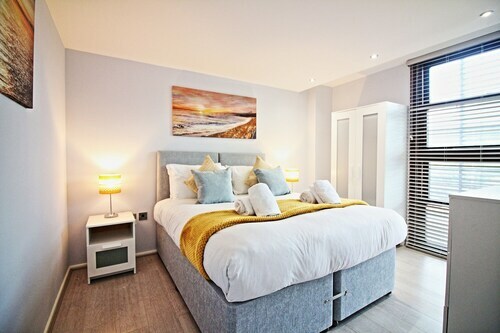 Located in Stratford, this apartment building is within 2 mi (3 km) of Westfield Stratford City, London Stadium, and Olympic Park. Excel Exhibition Centre and Liverpool Street are also within 6 mi (10 km). Stratford High Street DLR Station is 7 minutes by foot and Stratford Station is 6 minutes. 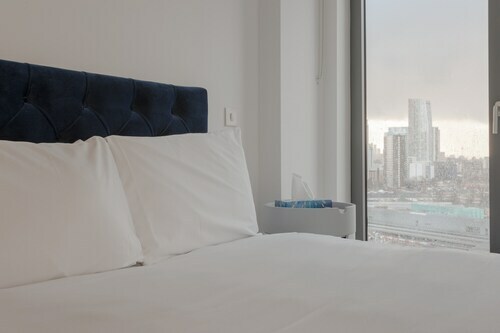 Located in Stratford, this aparthotel is 1.4 mi (2.3 km) from London Stadium and within 6 mi (10 km) of O2 Arena and Sky Garden. South Park and Tower of London are also within 6 mi (10 km). Stratford High Street DLR Station is 9 minutes by foot and Abbey Road DLR Station is 9 minutes.